After spending sixteen years living on the Navajo reservation in New Mexico and another twelve battling the heat, while teaching in the Middle East, I, moved to Mesa, Arizona where I reside with the love of her life and my four pound Miniature Pincher, Anubis, three birds and four fish. I joined three chapters of RWA sometime after I completed the first draft of Eternal Lovers, convinced by others I should seek publication for a story which was originally written to make the voices in my head shut up. Guess what, it didn’t work. What I thought in the beginning, was a story about a young Native American woman mixed up with the Mafia turned out to be a story of Aliens, as old as the pyramids, living around the world, just like you and me. Of course, that little detail wasn’t revealed to me until after the first draft of the manuscript was almost finished and my hero from book one, of what is now a saga, smiled up at me in a dream. Following the directions I received from Gabriel in my dreams, a totally new version of Eternal Lovers was born. The heroine, Jennifer, and the dynamics of their love story remain the same even though the story changed from a commercial fiction to a paranormal romance. I consider myself “a write from the seat of my pants” type of writer. I also love sprinting so I tend to write in thirty minute sprints, taking a ten to fifteen minute break between sprints. I never edit or do re-writes until I have a completed first rough draft. Then the hard work begins. I wrote non-fiction for over twenty years while teaching school. I never even considered writing fiction, much less paranormal romances until Gabriel appeared in my dreams. Paranormal Romance and Urban Fantasies. I have also started a commercial fiction which I hope to have finished in 2013. Boy, that’s a tough one. I read across all genre lines and love everything from the classics to horror. As far as I know they like what I am doing… at least that is what I have been told. Never ever take your characters for granted. They always have something more to share with you. The voices in my head that will not leave me alone until I write what they show me. I’d be happy to. 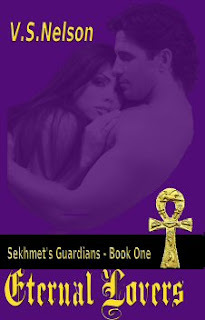 Eternal Lovers is the first book in an eleven book cross-genre paranormal romance series entitled Sekhmet’s Guardians. Although each book is dedicated to a romantic couple they are also filled with additional stories and romances. 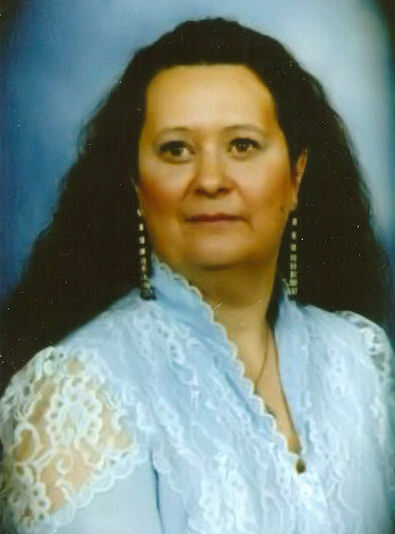 Eternal Lovers is dedicated to Jennifer, a young Native American woman and Gabriel, the leader of Sekhmet’s Guardians and director of Guardians Incorporated. A snippet of Chapter One follows. She knew her grandmother already knew what transpired. Sitting by the fire, she had to have seen the visions of what she had done in the flames. Chenoa motioned for her to sit down beside her. After a few moments her grandmother began with the all too familiar lecture. “Told them,” she finally admitted, knowing her grandmother wouldn’t approve, but she wouldn’t lie to her grandmother to save her own hide. “No, you didn’t think, that is half your problem. You act without thinking. You must learn to think before using your gifts and you must remember not to impose your own will on others, no matter what the circumstances. There will be times when you will need to use those gifts but that time is not now. Until then, you have to be very careful when and where you use them. Her grandmother paused and took a sip of the drink that sat beside her. She finally looked up at her grandmother. She could feel her eyes start to change. Any time she got emotionally upset or mad her emerald green eyes turned bright red. No one ever explained why they did that, she was just told to keep them hidden from the outside world. She reached into her pocket and started to pull out her shades. Grams grabbed her hand to stop her. Using her long flannel shirt sleeve, she wiped the tears away from her face. Between sniffs, she remorsefully admitted she was lonely. Eternal Lovers – Sekhmet’s Guardians – Book one is available in paperback, large print and Kindle formats through Amazon world wide. US buy links are below. Join a supportive writers group. The lessons, inspiration and support offered from groups like RWA (Romance Writers of America) are priceless. Stopped by to check out Virginia's interview. Good job! I am reading Eternal Lovers know. I can tell you that it is a wonderful read. V.S. brings the characters to life, inviting you into the story to become a participant not just a reader. Thank you both very much - KJ thanks for the promo and I'm happy you are enjoying the book. Good luck in the drawing to both of you.